The AquaAudio Cubio is a handy little waterproof Bluetooth shower speaker with suction cup that allows the user to listen to music and take calls while in the shower. The waterproof speaker easily pairs with Bluetooth devices, and it is Siri compatible. The Cubo is a portable Bluetooth shower speaker that allows the owner to listen to music, take calls, adjust the volume, and a whole lot more. The speaker can easily be set up or removed using the suction cup, allowing the owner to take it with them and use it while at the pool, boating, or at the beach. It available in many colors including black, yellow, pink, white, and blue. The rechargeable battery lasts about 10 hours on a single charge. 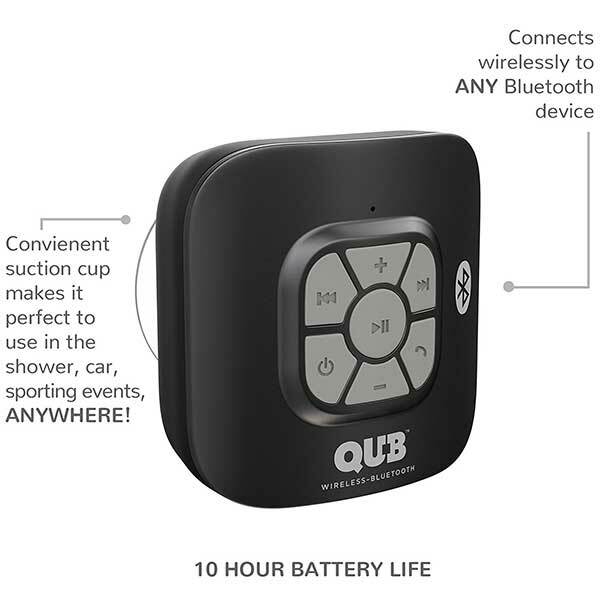 Using the included USB charger, the Cubo can be charged to full in about 2 and a half hours. 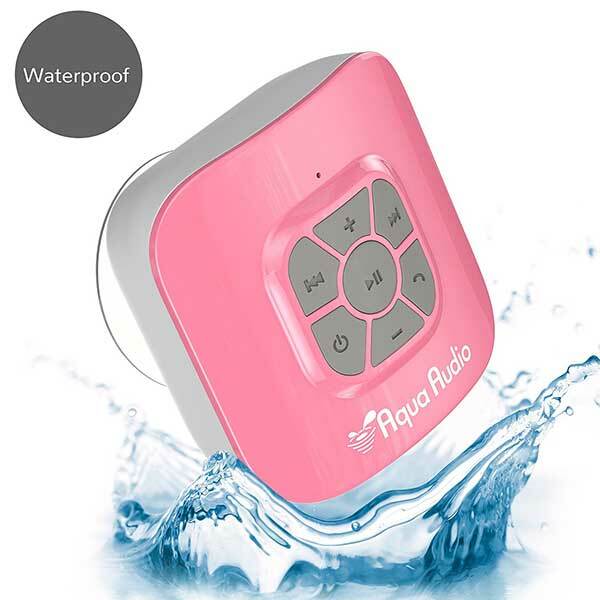 The AquaAudio Cubo is a great gift idea for anyone that might enjoy listening to music, answer calls, or singing while in the shower. To read customer reviews and get the latest product information on Amazon, just hit the check it out link on the top of the page.